A commercial move or an office move always comes with a cost. Moreover, the downtime which is associated with it can also lead to a financial loss if not done properly and let you settle in the new office within the timeline given. So, the main objective is to reduce downtime during your office move. To ensure that you need to appoint experienced office movers who are equipped with comprehensive resources in terms of manpower and equipment to carry out the process of office relocation as efficient as possible. 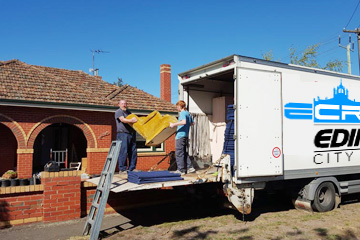 A professional office mover will have a highly trained crew so that the office removal work can be done without a hassle and achieve the highest level of precision. They treat all the office resources with utmost care so as to keep them intact and in good condition. Moreover, hiring professional office movers will ensure that you get a fully integrated service for all your moving needs. This goes beyond the transportation process and deals with a range of other services such as packing the goods in appropriate boxes and other behind the scene logistics movements. How the Moving Process Works? Each office move comes with a series of work. It involves an expert visiting the office location and assess all the goods to be transported. This person also does the budget and cost analysis for the entire office move. This person acts as a point of contact to coordinate with your business and the moving agency. You also get packing services along with porter support and warehousing assistance. You will also get support in move management, space planning, logistics, and comprehensive reporting support when you deal with professional office movers. When you hire a team of professional office movers, you get efficient services which offer a reduced downtime and help you and all other employees get on with your regular office work. They do it with a comprehensive planning and an impeccable execution and eventually achieve the highest standard of work efficiency. They also help you to deal with all your last-minute changes effectively and carry out the moving task well within the time limit. Edinburgh City Removals is one of the most preferred office movers based out of Edinburgh. They have a team of experts who carry out the whole task of office move with precision and save your valuable time and money. You can contact them and discuss your requirements so that they send in a professional to your office and give you a rate quote accordingly. Hire professionals to get the best of services! Have Questions? We are happy to help. Our team of Edinburgh city removals will be glad to answer any query you may have. If you prefer speaking to us on the phone, please call us on 08003688380 and speak to one our Edinburgh city removals experts. Click here to start a LIVE CHAT with one of our agents who will happily assist you with any information you like. Fill in your details on our Get a Quote Box or on the Contact Us page, and we will get back to you at the earliest. Edinburgh City Removals is a team of expert removalists. We take pride in providing superior quality removal services for both residential and commercial moves.The process starts with visiting your location to assess the number of goods to be moved. Our Terms apply to every service we agree with our clients. We are primarily a Removals and Logistics company.